I'm in the market for a new denim shirt. Not a chambray shirt. Not a denim jacket. 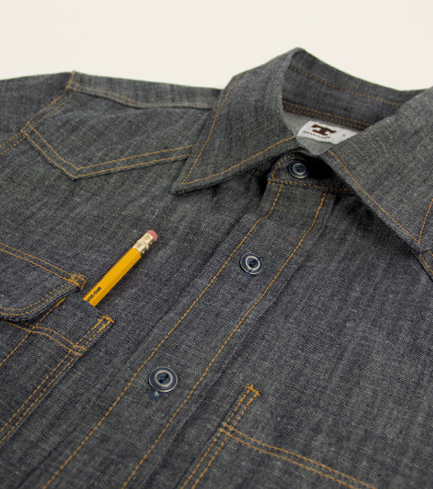 A denim shirt. 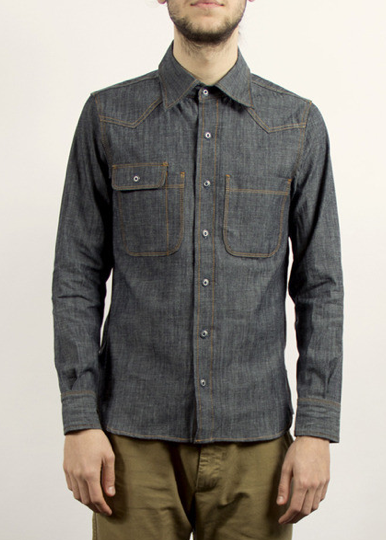 After doing some research, I'm leaning towards the Tellason shirt pictured above. I like the blue/grey hue (which will prevent the "Texan Tuxedo" look when wearing with jeans), and the details (pen pocket, distressed buttons, etc). 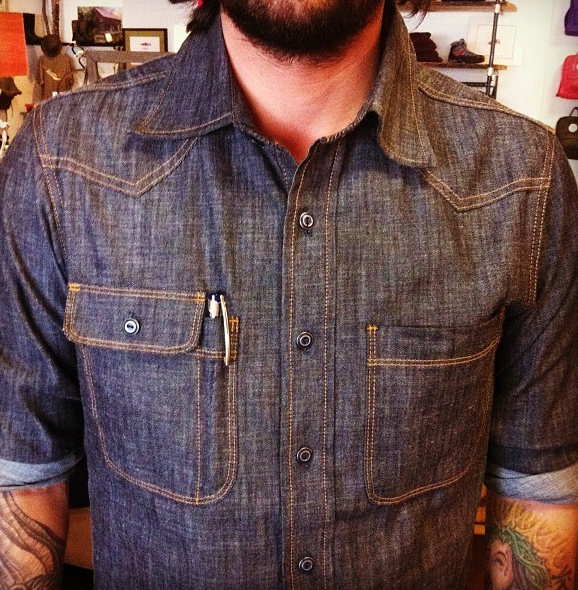 Made of 6.5 oz raw denim from cone mills in North Carolina and cut and sewn in San Francisco CA. Check out more pics after the jump, and be on the lookout for some of my other options for a denim shirt in the coming days.